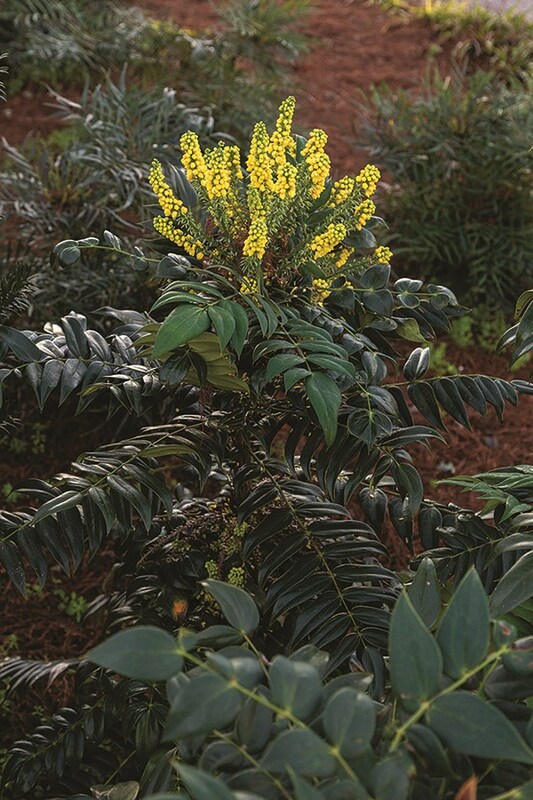 Upright, Marvel's large frond-like leaves develop in whorls along coarsely branched stems. 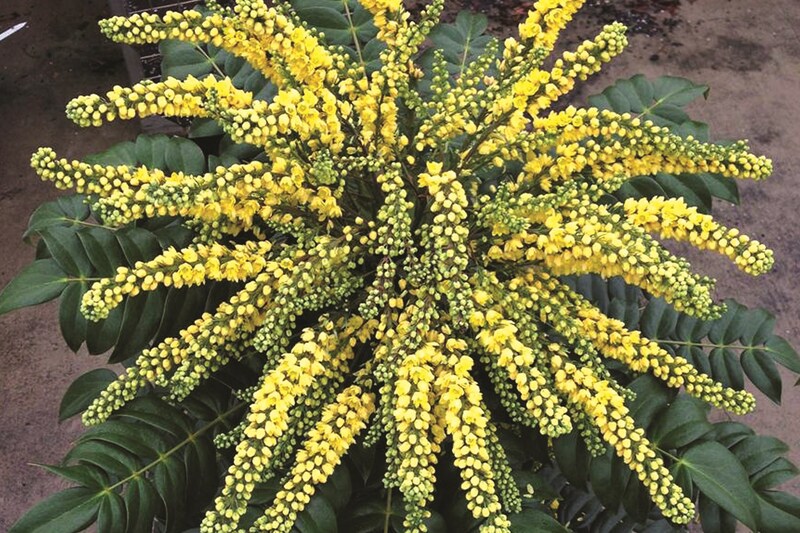 Fragrant, yellow flowers appear in late fall or early winter. 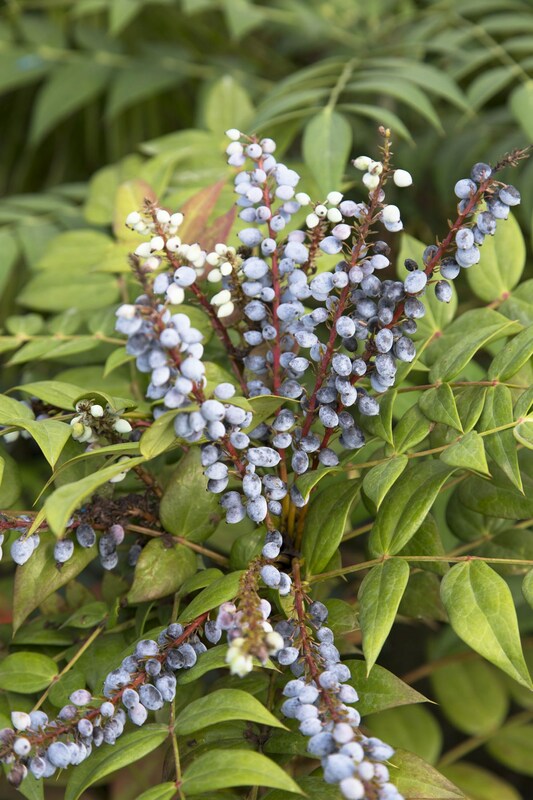 Flowers develop into grape-like clusters of wax-coated black berries by late summer and autumn.